Two weeks after dismissing seven ministers with votes of no confidence, the Afghan parliament has urged President Ashraf Ghani to respect their decision. While the parliament was on a firing spree earlier this month, Ghani had urged the dismissed ministers to continue working. The tug-of-war between the executive and legislative branches the country is just one aspect of the many intersecting conflicts within the Afghan government. In the span of a week, the lower house of the Afghan parliament booted seven ministers — foreign affairs, public works, labor and social affairs, education, transportation, higher education, and telecommunications. Nine other ministers survived the vote and most of those dismissed were voted on early in the week. As Thomas Ruttig notes in his analysis for the Afghanistan Analysts Network, there are several levels of conflict involved. There’s the overarching conflict between President Ghani and Chief Executive Abdullah Abdullah, and likewise their allies throughout the government. Then there’s the conflict between government branches — the parliament seems poised to adhere to the constitution while the National Unity Government persists outside such bounds of such paper-based legitimacy. In addition, political fractures within specific parties — in this case Jamiat — are not new features to Afghan politics but can be nonetheless disruptive. Ruttig lists the ministers and who nominated them. In sum, three ministers nominated by Abdullah were dismissed and four who had been nominated by Ghani. The NUG, in splitting the top authority in the country, also sought to appoint a balance of ministers. It seems parliament was cognizant of that balance in its firing. There seems to be a significant level of behind the scenes intrigue, particularly regarding Jamiat-e Islami, an Afghan political party headed by Salahuddin Rabbani, the recently dismissed foreign minister (and son of a former Afghan president who was murdered in 2011). Ruttig gets deeper into the cleavages — outlining the fissures within Jamiat and how that may be manipulating some of this process — but it’s simplest to note that the ministerships are being treated like chess pieces. 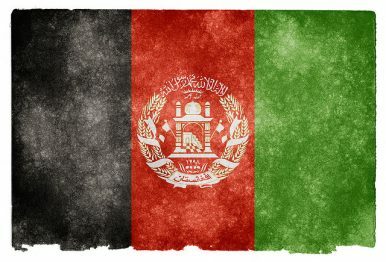 With all this politicking, it’s easy to see why Afghans and Afghanistan’s allies alike are frustrated and confused. And there’s no real end in sight. As Ruttig notes, should the Afghan Supreme Court side with Ghani and set aside the dismissals, the parliament will have even less motivation to work with the executive branch on the important business of government. In the coming days the parliament is supposed to vote on the 2017 budget. Gridlock looks to be the result in either case. If the Supreme Court sides with parliament’s dismissal powers, Ghani and Abdullah will need to go through the whole process of first negotiating with each other on who to appoint to the empty posts and then parliament will get its say. And so, the whole rigmarole will go on.